If you are a skinny guy like me and want to gain muscle and weight, then you may need a mass gainer. Mass gainers are bodybuilding supplements which contain more calories than normal protein supplements. They contain larger amounts of carbohydrates and fats to boost your calorie intake. When your daily calorie intake is more than your calorie burn, that is when you start to gain weight. Usually, you gain calories from whole foods. But there is a limit to how much you can eat. If you are like me, then that means no matter how much you eat, you are unable to gain weight. People who can’t gain weight easily are called hard gainers. 1. You have a fast body metabolism which means that you burn calories at a tremendous rate. 2. You can’t eat much and get only enough calories for carrying out your day-to-day activities. As a skinny guy, I’ve heard it a thousand times: “Why don’t you eat more? You’re so skinny!”. What most people don’t realize is I’m not skinny because I choose to be; I’m skinny because I can’t gain weight even if I try! When it’s impossible to put on weight quickly through normal means, you need to take outside help. There’s only so many calories your body can take in when you’re eating three meals per day, and some people don’t have the time. That’s when mass gainers come to the rescue. Mass gainers provide the perfect solution. They are a quick, convenient, cost-effective way to get the best nutrition. Make sure that you also workout in the gym and then take the mass gainer post-workout. If you just drink these high-calorie mass gainer shakes and don’t work out, you’ll gain weight but a lot of it will just be fat. If you are thinking what is the difference between mass gainer and whey protein, then here is the answer: Mass gainers are protein too. Normally mass gainer supplies 22 to 35% of protein whereas whey protein as such supplies more than 60% proteins. Mass gainer contains more calories than regular whey protein. Both are used for muscle recovery & muscle growth. Good mass gainers contain non-sugar complex carbs for prolonged energy supply. Now you know about what is a mass gainer, needs of mass gainer, advantages of mass gainer and the difference between mass gainer and whey protein. But the real problem is that the Indian market is filled with an enormous number of mass gainers. It gets hard to choose the best mass gainer when you are a first-timer or you are not satisfied with your current mass gainer. Musclemass High Protein Mass Gainer Chocolate, 1 Kg / 2.2 Lb is the best mass gainer in India. Its serving size is 2 scoops (34 g). It comes with 129.54 calories and 7.15 grams of protein per serving. It contains 23.46 grams of carbohydrates and 22 essential vitamins and minerals per serving. Sinew Nutrition Elevate Mass Gainer Chocolate, 1 Kg is the second best mass gainer in India. Its serving size is 3 scoops (100 g). It comes with 388 calories and 20.6 grams of protein per serving. It contains 64.4 grams of carbohydrates and 500 mg of digestive enzymes per serving. MuscleBlaze High Protein Lean Mass Gainer Chocolate, 1 Kg is the third best mass gainer in India. Its serving size is 1 scoop (100 g). It comes with 386 calories per serving and 30 grams of protein per serving. It contains 59 grams of carbohydrates (with no added sugar) and 3 grams of fibre per serving. MuscleBlaze Mass Gainer PRO with Creapure Chocolate, 1 Kg is the fourth best mass gainer in India. Its serving size is 1 scoop (75 g). It comes with 276 calories and 15.75 grams of protein per serving. It contains 48.75 grams of carbohydrates per serving. It supplies 6.75g creapure which provides explosive energy required for high-intensity training sessions. MuscleBlaze Super Gainer XXL Chocolate, 3 Kg is the fifth best mass gainer in India. Its serving size is 2 scoops (150 g). It comes with 560 calories and 22.50 grams of protein per serving. It contains 112 grams of carbohydrates and 27 essential vitamins and minerals per serving. MuscleBlaze Mass Gainer XXL Chocolate, 1 Kg is the sixth best mass gainer in India. It comes with 283.50 calories and 15.75 grams of protein per serving. It contains 52.50 grams of carbohydrates and 27 vital nutrients per serving. Labrada Mass Gainer Chocolate, 6 lbs is the seventh best mass gainer in India. Its serving size is 9 scoops (341 g). It comes with 1265 calories and 52 grams of protein per serving. It contains 254 grams of carbohydrates per serving. MuscleTech Mass Tech Performance Series Mass Gainer Milk Chocolate, 3.18 Kg is the eighth best mass gainer in India. Its serving size is 5 scoops (233 g). It comes with 830 calories and 63 grams of protein per serving. It contains 132 grams of carbohydrates per serving. 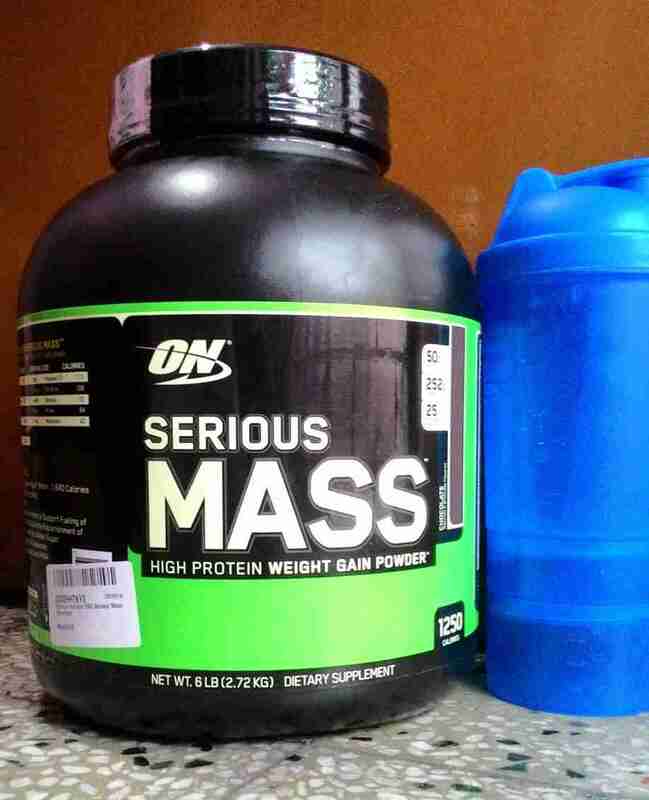 Optimum Nutrition (ON) Serious Mass Gainer Chocolate, 2.72 Kg is the ninth best mass gainer in India. Its serving size is 2 scoops (334 g). It comes with 1250 calories per serving and 50 grams of protein. It contains over 250 grams of carbohydrates (with no added sugar) and 25 essential vitamins and minerals per serving. It also contains creatine, glutamine and glutamic acid. Arms Nutrition Machine Gun Mass Gainer Chocolate Ice Cream, 1 Kg is the tenth best mass gainer in India. Its serving size is 2 scoops (100 g). It comes with 363 calories per serving and 25 grams of protein. It contains 68 grams of carbohydrates per serving. It also contains 2gm Leucine boosting protein synthesis, 2gm Glutamine and 2gm Creatine.